15:17 To Paris the film by Clint Eastwood will likely not win any awards. 15:17 To Paris will not likely score high on critic or user reviews. Ironically the reason the film is not a total throwaway is that 15:17 To Paris is based on actual events, stars the actual heroes, and the storyline is worth a nod of recognition and thanks to them. The sincerity and true friendship of the heroes is apparent and makes the film watchable. 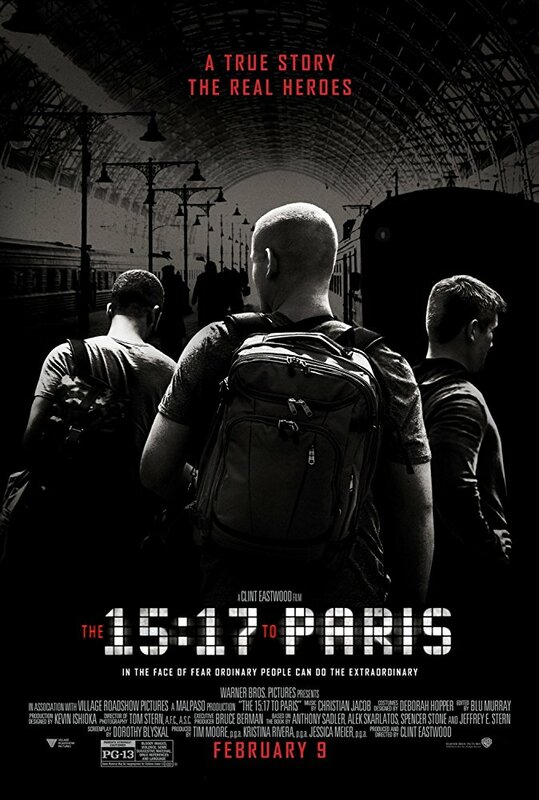 Selfishly, given what three friends from childhood (Anthony Sadler, Alek Skarlatos, Spencer Stone) risked on a train from Amsterdam to Paris – we should all watch (with financial contribution) 15:17 To Paris. These three men (and one other) received medals of honor from France and The Unites States for their heroism. To Hollywood’s dismay there were no easy ways to include car chases down Russian Hill in San Francisco. Honestly, 15:17 To Paris is stiff and stilted at the start and uneven throughout. Mr. Eastwood owns this condition. However, there are parts of 15:17 that work well – just not enough of them to carry the entire film.